Breakfast! The most important meal of the day – or so they say. But sometimes you just don’t fancy eating actual ‘food’. And in such a case, a healthy breakfast drink is the perfect alternative. 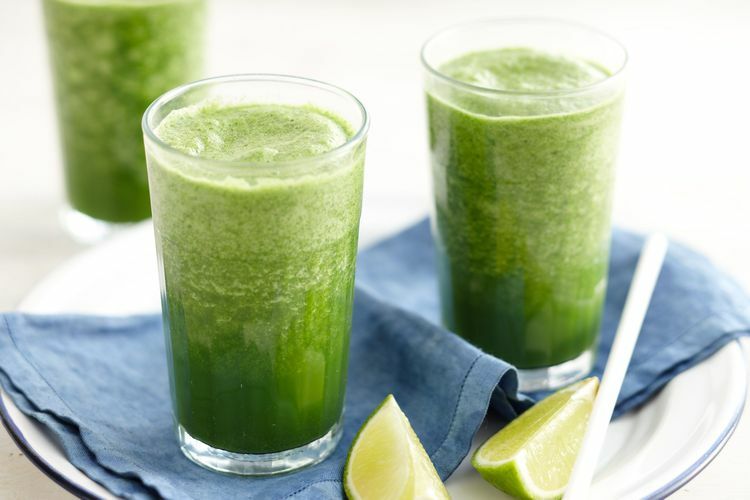 Here are 6 super-healthy drinks that’ll give you that much needed nourishment to get your day off to a great start. For the coffee addicts out there, it’s really not necessary to completely cut out the caffeine. In fact there are many scientific studies that show coffee in moderation is really good for you! Bananas are packed full of lots of great things. Potassium, dietary fiber, and lots of healthy vitamins. They’re a great choice for a healthy start to the day – being naturally free from fat, cholesterol, and sodium. To make: take 2 frozen bananas, 1 ½ cups of low fat milk, an 8oz container of low fat yogurt, 1 teaspoon of coffee, ½ teaspoon ground cinnamon, and a dash of nutmeg. Whizz the ingredients together in a blender and voila! Your smoothie is ready to go. If you’re looking for an antioxidant boost, then this should be your go-to choice of smoothie, as both pomegranates and blueberries are great sources. These ‘super foods’ have many healthy effects on the body, including helping to prevent cardiovascular disease and helping to prevent cancers. Not to mention this is a truly yummy combination! OK, so it’s a holiday favorite. But there are many surprising reasons to include pumpkin in your diet year round. Did you know that the high dietary fiber they contain could help protect against heart disease? The phytoestrogens within the seed can help lower blood pressure, and they also provide the body with a great source of tryptophan, that aids your mood. If you like the taste of veggies in your breakfast smoothie, then this is a wonderful choice. It’s packed full of iron, antioxidants, and vitamin K. And the addition of some slightly sweeter fruits make for a really great tasting breakfast drink. To make: place the following in the blender and combine. 2 cups of roughly chopped kale, ¼ cup pineapple, 1 banana, 1 orange, 5oz container low-fat vanilla yogurt, ½ cup ice. If you love the taste of vanilla, then you’re going to adore this overload. And vanilla has some surprising benefits to your heath that you might not be aware of. To make: take 1 cup low-fat vanilla yogurt, 1 cup milk, ½ teaspoon vanilla, a dash of cinnamon, and some ice cubes (if you want, you can also add a banana into the mix). Whizz together in the blender, and enjoy. For those mornings when every second counts (yep, you pressed snooze once too often), then a great fall back is simply a glass of milk. Go for low or half fat, or even soy milk if that’s your thing. It’s a wonderful source of calcium and protein, and really will set you up for the day.